Timmy Duggan played with the Gold Coast Rollers (1996) and Cairns Taipans (1999 – 2001) in the NBL. He is the founder of Hoops 4 Health in Australia and was the Director of Coaching in the Northern Territory from 2007 – 2011. His bloodlines lie within the Warramungu, Nkiginya and Wagiman people. 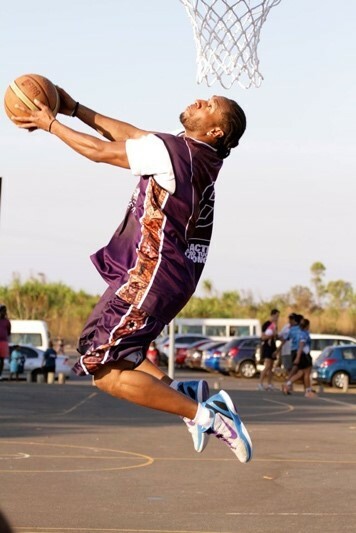 You may be familiar with names like Mills, Jawai, Cox, AhMatt and Morseu but what would be the response from the avid Australian basketball follower if the question was posed on how many Aboriginal and/or Torres Strait Islander players have donned a National Basketball League uniform? Or how many Aboriginal and/or Torres Strait Islander players have represented Australia at the Olympics? 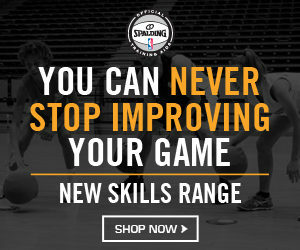 To answer the above questions not only requires someone with an astute history of Australian basketball IQ but someone who has identified that Aboriginal and Torres Strait islander players make up a very limited number of players at the elite levels in this country and on the International scene. In 40 seasons of the National Basketball League, there are approximately 20 Indigenous Australians who have played. The number is slightly less for the Womens National Basketball League. Whilst the Australian Football League and the National Rugby League have implemented Indigenous Rounds, we as a sport have languished to recognise our trailblazers in a sport that is played on the red dust of Central Australia to the inner city courts of Moore Park in Sydney and the old Ian Davies run Darling Harbour courts frequented by future World Champion and hoops lover, Anthony Mundine and sidekick and local Koori legend, Lindsay Munro. 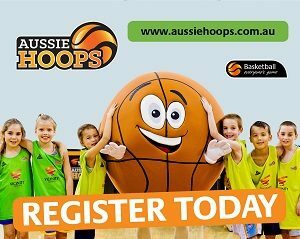 We have had, and continue to hold Aboriginal and Torres Strait Islander tournaments, programs, coaches clinics, education sessions, professional development opportunities for coaches, an ABA team in Queensland in the early 2000’s, established National Indigenous Teams, Indigenous Basketball Academies and Indigenous basketball tours. Despite all of the great work above, the transfer of athletes into elite pathways and programs has been at best, limited. 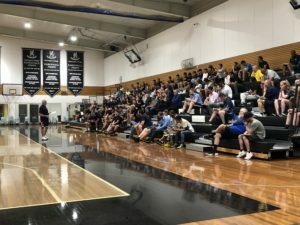 Whilst delivering the “Leading and Dreaming in the Spirit of the Game” Presentation at the Basketball Australia’s Annual Coaches Conference, I put forward the term “Cultural Safety in Basketball”. 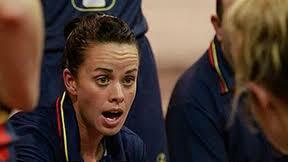 So what does this term entail and mean when coaching Aboriginal and Torres Strait Islander Basketballers? A large cohort of Aboriginal and Torres Strait Islander sports people are disengaged from the pathways into organised and elite level pathways both in the urban hubs of South East Queensland and in the Remote North of Australia. The engagement of this cohort, especially in remote communities, requires a shift that is resourced effectively and an innovative coaching education tool incorporating the base building block that is cultural safety. 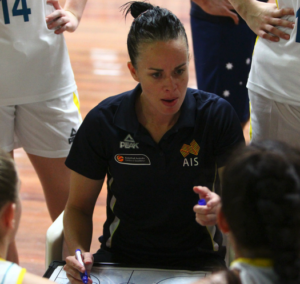 This article focusses on what factors can influence the potential engagement of young Aboriginal and Torres Strait Islander youths in basketball and progress them to the elite level. We need to start with a foundation and building a common language tool that addresses the past, identifies the social and cultural determinants of health and what is really happening beyond the lines of the basketball court. For many poor families, including poor Aboriginal families, sport was an opportunity to prove you were equal, you could compete on a fair playing field and be judged on performance and not your cultural history. 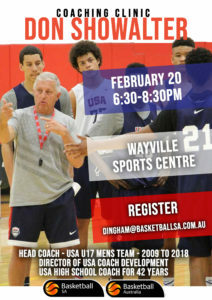 If we as coaches, peak bodies and basketball associations create the cultural safety, this will lead to the cultural interpretation of how to play basketball in a fun environment then maybe we can add the “x-factor” to Australian Basketball. We see this “x-factor” already with Lance “Buddy” Franklin, Cyril “Junior Boy” Rioli in Australian Rules Football and Greg Inglis and Jonathan Thurston in Rugby League. From the trailblazers like AhMatt, Morseu and Claude Williams to the legends like Mills, Jawai, Mitchell and Cox to the future like Wilson, Wigness and McDowall- White, our next “x-factors” lay hidden in the remote parts of the Kimberleys to the tip of Cape York and the Torres Straits. In 1967, The Federal Government was given the power to make laws for Aboriginal people, and as a result Aboriginal and Torres Strait Islander People were to be included in the census. The ironic thing about this is our first Indigenous Australian Olympian, Mr Michael Ahmatt represented Australia at a time when he was not even included in the census. As mentioned previously, there a a number of great programs and tournaments that have occurred and continue to be run that benefit communities and individuals. However, I, along with a consulted group of current and ex-Aboriginal and Torres Strait Islander basketballers and coaches strongly recommend that a pillar of building blocks form the base of pathways to the elite level for our people. The number one building block is the concept of implementing “cultural safety” in basketball. The building blocks are illustrated below. So in basketball we are saying that the concept of cultural safety is not defined by the coach, but is defined by the athletes’ basketball experience and ability to access elite pathways in the sport. 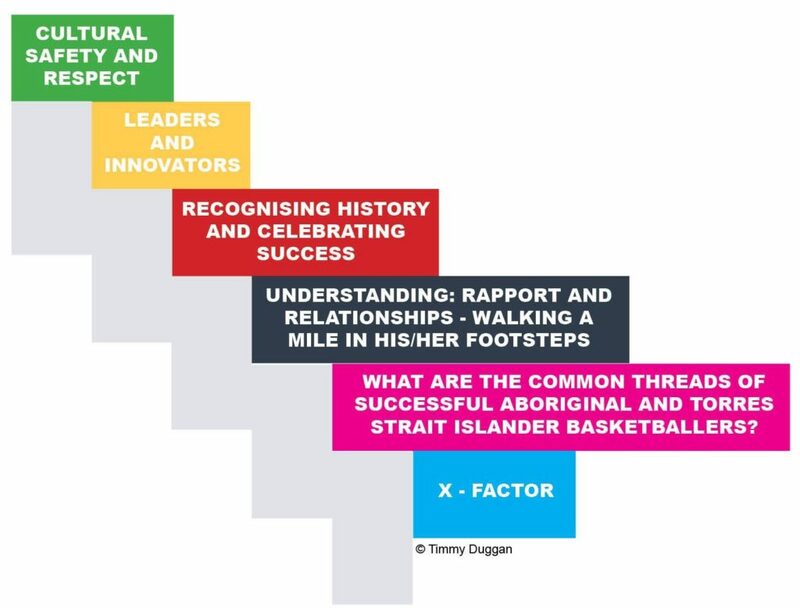 Cultural safety identifies that Aboriginal and Torres Strait Islander basketballers are comfortable when coaches (and Associations) have considered athletes’ cultural differences and background. Patty Mills is our triple Olympian and is currently coached by multiple NBA title winner, Greg Popovich. Popovich surprised Mills and his San Antonio Spurs team-mates with an inspirational locker -room talk dedicated to the late Murray (Mer) Islander Eddie Koiki Mabo. How did Mills feel and how did his team-mates react? What team culture did this enable? Mills eyes welted in a sense of pride and strength. In his book “Sacred Hoops”, Hall of Fame Coach Phil Jackson described the journey and quest of the 1991 NBA Champion Chicago Bulls. Jackson incorporated the Sioux Indian philosophies and regularly used their quotes in pre-game and pre-training talks. He also burned sage in the change-rooms to create a calming effect with dynamic personalities like Michael Jordan and Scottie Pippen immersing themselves in the customs of the Sioux Indians of North America. The Chicago Bulls locker-room was also decorated with artefacts whilst Jackson posed in Sioux Indian Head-dress. Coach Popovich’s was done in a matter of hours, whereas Jackson’s entailed the whole season. These are examples of coaches implementing cultural safety. They are immersing themselves and their teams into the culture of Indigenous peoples associated with their playing and coaches roster or location. Rex Nottage, Head Coach of Newington College in Sydney, took a group of ABA All Stars on a tour of Atlantic Coast Conference teams in 1998. Prior to the Clemson game, he eluded to the fact the Aboriginal people face considerable hardship in Australia. I was bulletproof because my coach made a mention of that history, it resonated with me and used it to inspire our team. The Maori Nursing fraternity first coined the term “cultural safety” in the mid 2000’s as a means of ensuring their people were receiving the best treatment in health car settings and able to access health services free of discrimination and judgement. They worked hard advocating to educate the Non-Maori nurses and colleagues about cultural safety and provide improved care for their people. We need only to look across the Tasman to see what the Maori people have done in terms of this concept with their Rugby Union team. Embracing and immersing Maori traditions and culture is a norm with their national team and is embraced not only by their non-indigenous people in their sporting code but by the country as a whole. A small step to initiate this process on a National level here in basketball could be to have our National uniforms resembling artwork of our Aboriginal and Torres Strait Islander people that correlates with our Basketball Australia philosophies and values. 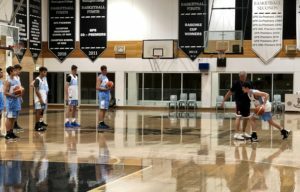 Secondly the NBL and WNBL should hold an Aboriginal and Torres Strait Islander Round to celebrate the unique history and contributions of Aboriginal and Torres Strait Islander basketballers who have played and coached at this level. 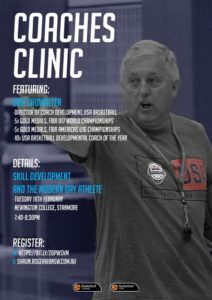 This will generate interest to those playing at the grassroots level and spike the thinking to take the basketball pathway. Janine Mohamed, a Narrunga Kaurna Woman from Point Pearce in South Australia who heads The Congress of Aboriginal and Torres Strait Islander Nurses and Midwives mentioned cultural safety is a life-long transformation journey. Instead of providing coaching regardless of cultural difference, as when a coach may say, “I coach and treat everyone the same”, we now need to take the athletes cultural uniqueness into account. We not only need to take it into account but celebrate it too. Coaching requires leadership, and with this cultural mindset shift comes a time to reflect on how we coach. What constitutes good culturally safe basketball coaching in fact is what coaching is about overall. 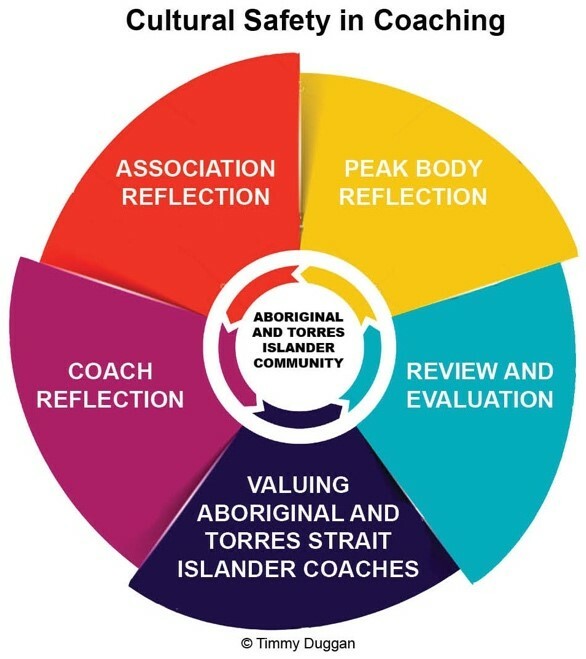 It supports constant coach reflection, evaluation and ongoing coach improvement including knowledge of, respect for, and sensitivity towards the cultural needs of Aboriginal and Torres Strait Islander People. I have been asked regularly as to why more Aboriginal and Torres Strait Islander people have not represented the Opals and Boomers. Well we already have the answers and they lie in the success stories of Mills, Jawai, Morseu, Cox, Ahmatt and Mitchell. Their journeys, including their successes and barriers to their careers is where the solutions are to unearthing the next wave of “x-factors”. They also lie in the Association, Representative, State Team and National Coaches and how they implement their form of cultural safety. An excellent read and insight on cultural safety, this needs to be implemented in all areas.